"Look for a true low-cost Tri-Band mobile coming soon 😉"
So I bet we actually get 220 MHz instead of 240-260 MHz like this one! No surprise - there is no free lunch. The T-Mobile Binge-On service drops video to 480p. 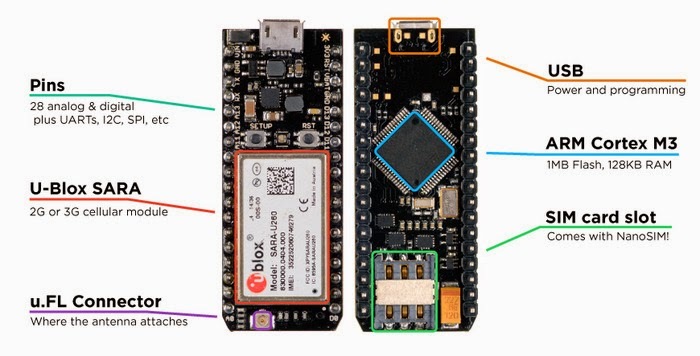 "The Electron is a tiny development kit for creating cellular-connected electronics projects and products. It comes with a SIM card and an affordable data plan for low-bandwidth things. Imagine a cellular-connected Arduino, but with a more powerful processor and a SIM card. 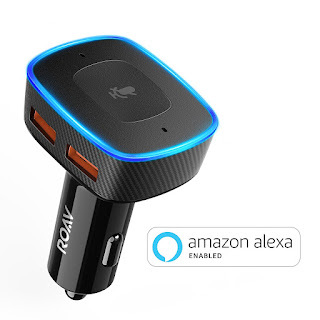 It also comes with Spark's development tools and cloud platform for managing and interacting with your new connected hardware." iPads purchases reduces sales of Macs. According to Business Insider, Apple's next move will be to replace the iPhone with a Head Mounted Display. So, we should see an interesting battle between the Google Goggles and the iEye. Some strange phones, but one on page three, the Concox GK3537, reminds me of the Runbo X5. It does 400-470 MHz. Bio: Analysis of mobile, smartphones, tablets & connected experiences. Head of Mobile at IHS Screen Digest. Formerly: Forrester, Jupiter. Dad. Learning photography. This would be a lot better than the hat I might throw on top of it. 03/19/12 "The TYT TH-UV3 Dual Band HT is on the way to me now. I will update everyone as soon as I receive them." So he could have the TYT TH-UV3 any day now. We do live in interesting times. 02/20/2012 "Baofeng UVD-5R Dual Band 4 watt HT was just released for sale in China. This is a nice little Dual Band rig but as of now, the menuis only in Chinese. This is howthe first UV-3R started out and then they made the english menu later. I would like to note that this radio looks exactly like the TYT F8 Radios. In talking with TYT I found out this is a COPY and not a radio made by TYT and sold to Baofeng. TYT has a patent on the case so we will see what TYT does about this later. So if you buy one of these on the internet, BEWARE, its menu is ONLY IN CHINESE and hard to figure out. I have one to test and I am having the menu translated and I will update you later on this. Dual Band mobiles are not anywhere close to being released. I would not look for them at Dayton this year. Maybe if we are lucky, a few months after Dayton but this is just my personal guess with info I hear in talking with the MFG's every few days." We know that are now versions of the UV-5R that do Chinese only, Chinese & English, and English only. And he has been told that Baofeng is ripping off TYT's case. More interesting is his claim that the dual band mobiles (KG-UV920R anyone?) won't be available for a few more months. We will be updating the site in a few days with all the New Goodies we found at the show. Lots of exciting things in the works so be sure to check back with us and get updated. We are in China now so if you have any special radios you would like us to purchase for you, contact us and we will be glad to purchase for you. Call 405-227-9980 (Our time is opposite the USA time so when its 11 am in the US, its 11 pm in China) Please call late evening your time to reach us. We can get you the latest versions of Wouxun,TYT, Baofeng and others at Hong Kong Prices." Pretty cool that he offers to ferry radios back from China. Shipping and wire transfers can make a good deal go bad very quickly. 11/11/2011 "Wouxun is going to raise the price effective now of the KG-UVD1p & UVD3 about $22.00 This is because of dealer requests to add 2.5 steps to those models. Its seems more like a move on Wouxun's part to increase the retail price like they have been wanting to do for sometime. They also increased the min wholesale order to 500 units. This is going to put the Wouxun HT's in a higher price class and TYT and others will have the advantage. Hong Kong will have a much lower price and attract more customers. As far as the Dual Band mobile, I would not look for it anytime soon and when it does come out, I am anxious to see the price. Wouxun is not aware of other companies working on Dual Band Radios because they pay little attention to their competition." Build your brand and demand higher prices. It is the American way! "A lot of really good businesses build their business model around getting to 10% conversion rate to purchasers within 6 to 12 months. It’s simply amazing that we’re seeing 10% conversion to purchase within the first week for iPad users. Second, the Custora model forecasts that iPad users are worth twice as much 2-year revenue vs. non-iPad customers." And it seems we are learning new ways to use our iPads. With all the "cloud" services, I'm surprised that the demand for more disk space is going up. Perhaps the magic of syncing across devices actually drives the need for more space when all your pictures, videos, apps, and files start showing up on your tablet. 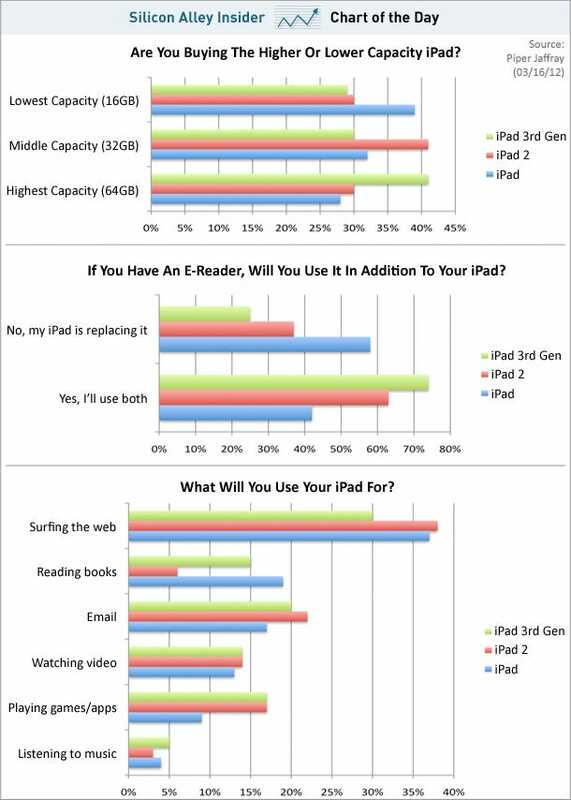 I am seriously thinking about an e-ink Kindle to use as a pure e-reader, so the second graph makes sense to me. I got this e-mail from Vero Telecom and others have asked me about the VR-2200, but I don't really know anything about it. Anyone? "Dear valued customer,Many thanks for your continuous attention!Now, we would like to show you our new products in this year! These products with best value,powerful functions and excellent performance. We have confidence that they will come to be the hottest sellings in current market! Need offer? Contact us! Need quantity and accessories? We have them in stock!Click here to learn more information about them!" Not mine, but a sweet setup... KF9ZA - HF Mobile 2004 Chevrolet Blazer and a cool video of it in action. Bonne chance DX!